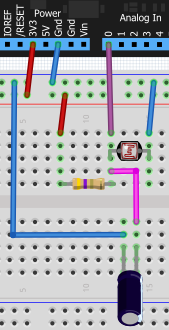 I'm working with GL5528 photoresistor connected with analog channel. 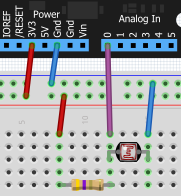 The voltage value is floating. How can I stabilize the voltage?